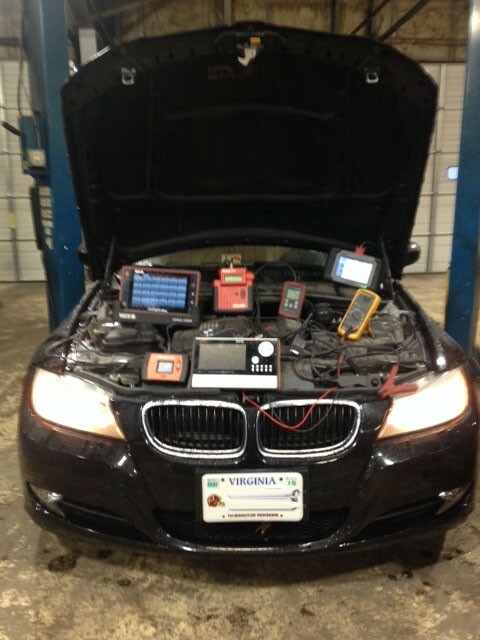 We are your foreign car and BMW repair specialists in Woodbridge, VA and we proudly serve the Washington, D.C. Metro and Northern VA areas. 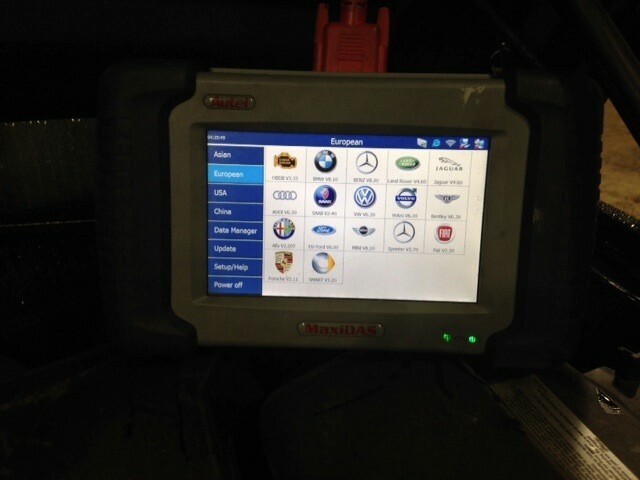 BMW diagnostics and repairs can be done at our shop or at your location. FREE estimates, email us or text us at 703-675-7016! Contact us 7 days a week, 8:00am to 9:00pm. 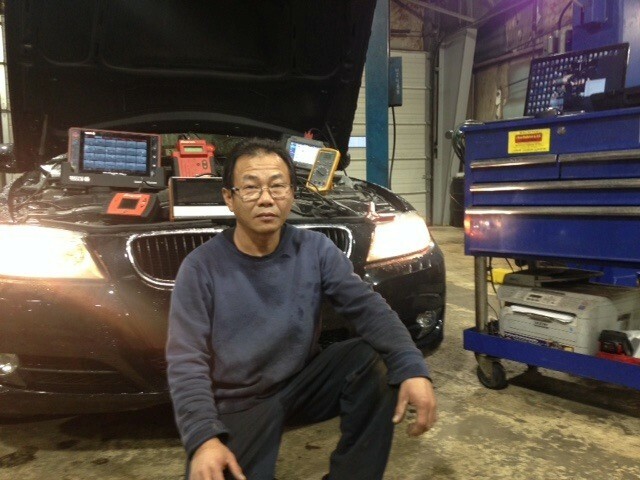 LT Foreign Car Service German & Japanese Auto Repair uses dealer-level equipment to diagnose your vehicle and provide the best BMW repairs and services in the D.C. area. We repair it right the first time! Using the highest quality replacement parts (you can supply your own parts if you wish), filters, oils and components, we strive to exceed your expectations and always save you money over the dealer. 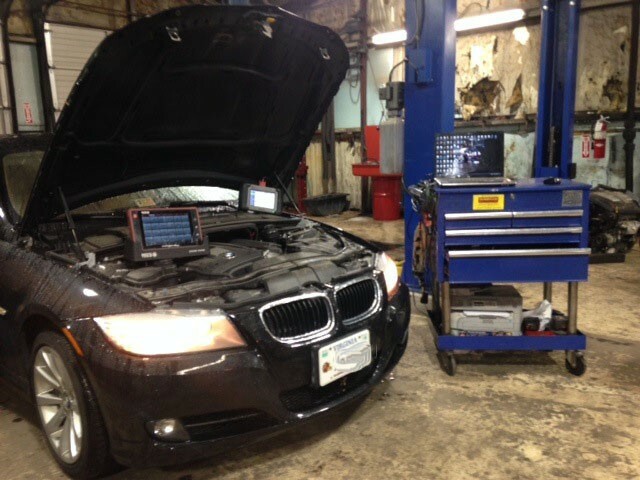 Servicing the areas of Woodbridge, Lorton, Springfield, Fairfax, Arlington, Alexandria, Stafford and Reston, VA with expert BMW maintenance and repairs. 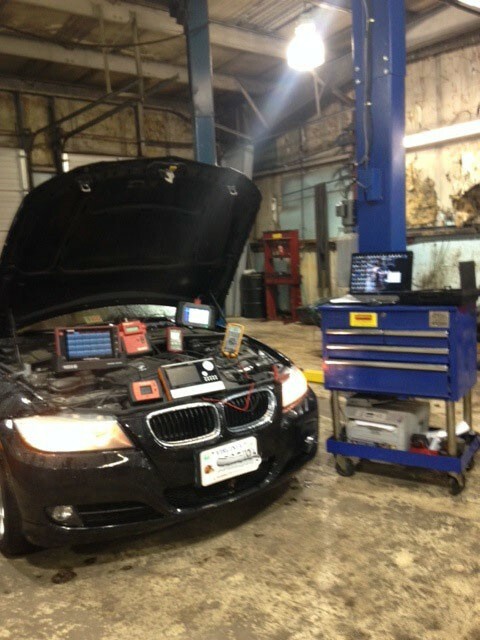 Stop by or give us a call to schedule your next D.C. BMW service appointment with us! 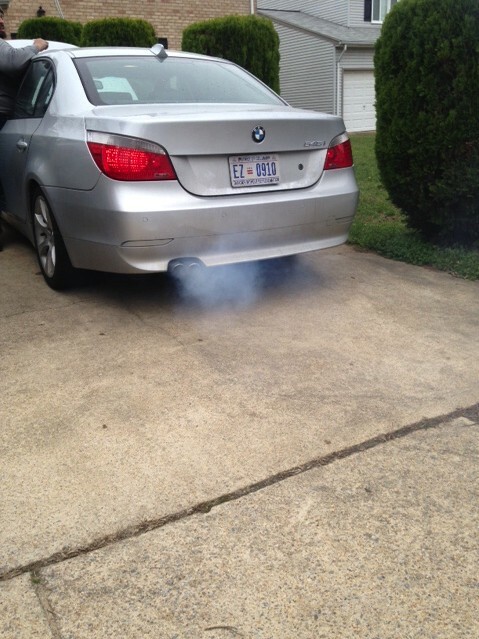 If you have a problem on your BMW N62 engine, like 750-754-x5-545 and 650 smoke in the tailpipe, let us know. 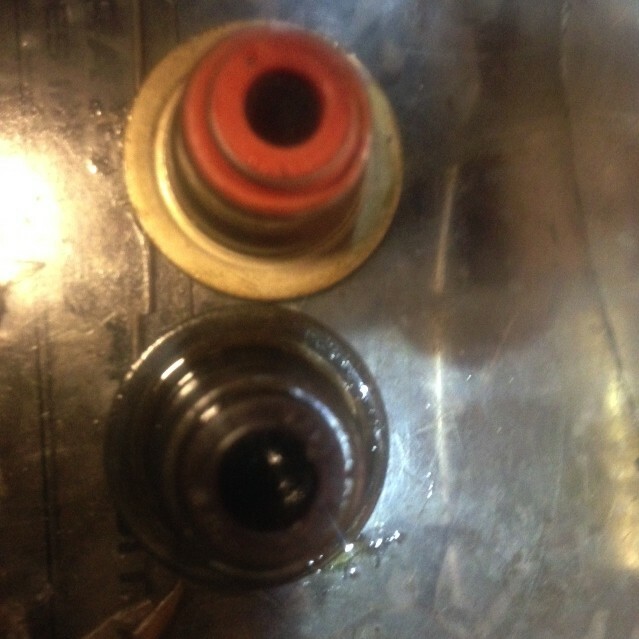 We can place valve steam seal without removing the cylinder head or replacing the engine. Give us a call. I can save you money! LT's service is top-of-the-line. He is professional, courteous and honest with better than fair prices. i own a BMW X3 and i shopped around until i found LT. His service and prices can't be beat. 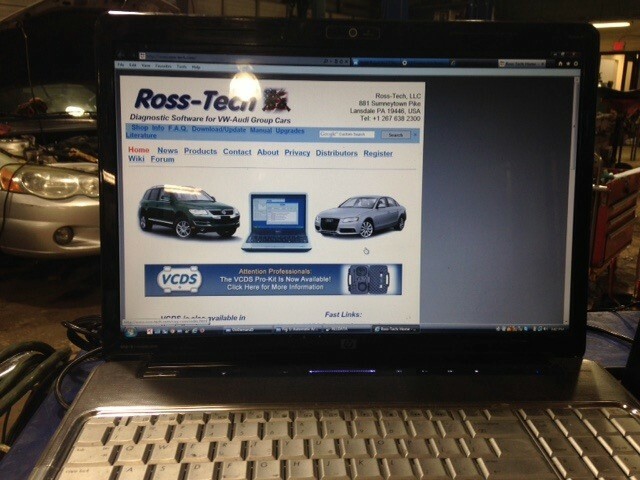 I find LT to be friendly, honest and expertly knowledgeable when it comes to repairs for my car. I find him trustworthy he delivers what he promises. I highly recommend LT and his team. My BMW would not start. LT diagnosed the problem and got it started. He also gave me tips on other minor maintenance that was needed. His price was far below what the dealer charges and he is honest. I will use LT from now on for all my repair needs. This is the only man that I will let touch my cars.... 2008 BMW 7 series. I was ready to give up on this smoking engine. LT got it fixed (valve stem seal) and came in at less than half of what the dealer wanted! 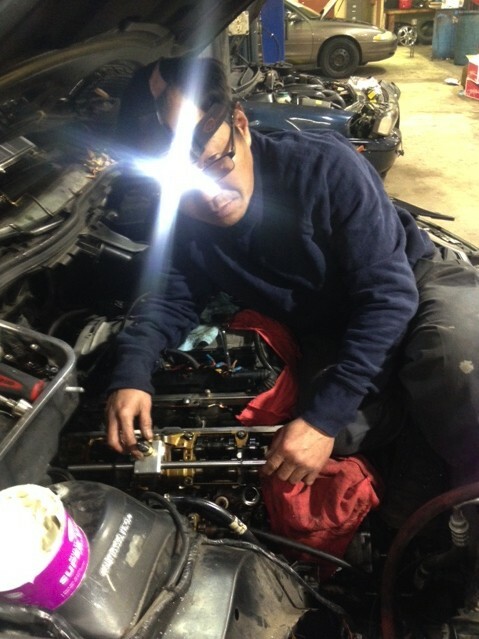 LT is an experience and dependable mechanic, he has great skills and tools to troubleshoot and pinpoint to the problem (no extra work or part replacement for something we don't really need!!). The price is very reasonable and much lower than dealer price or elsewhere. LT always makes me and other customers very happy and satisfied of the great work performed. I'm very happy to recommend LT to all my friends for any type of auto repair. LT Foreign Car Services is the best. 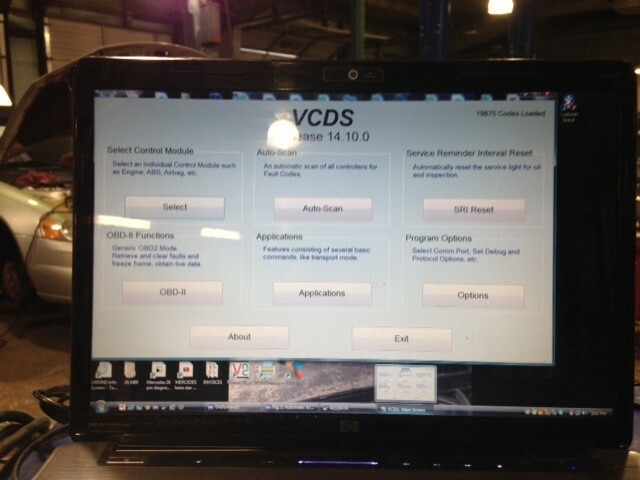 I couldn't start my BMW X5 due to an electrical program. 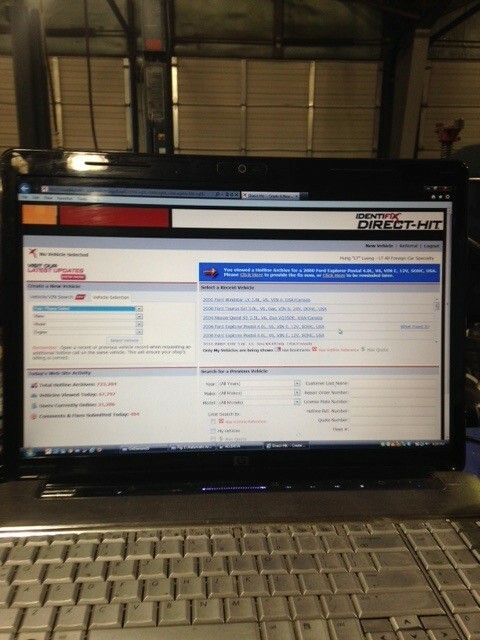 The technician quickly diagnosed the problem and was able to get the truck started. He was fair and honest. I will use LT for my repair needs again. LT Foreign Car Service once again did a great job and was much less than any other place around. 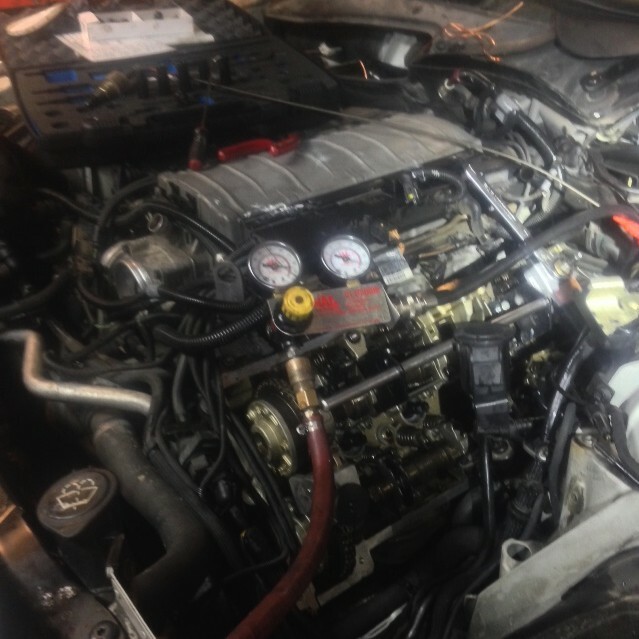 It is refreshing to have a mechanic work to help you solve the issue at he lowest cost. 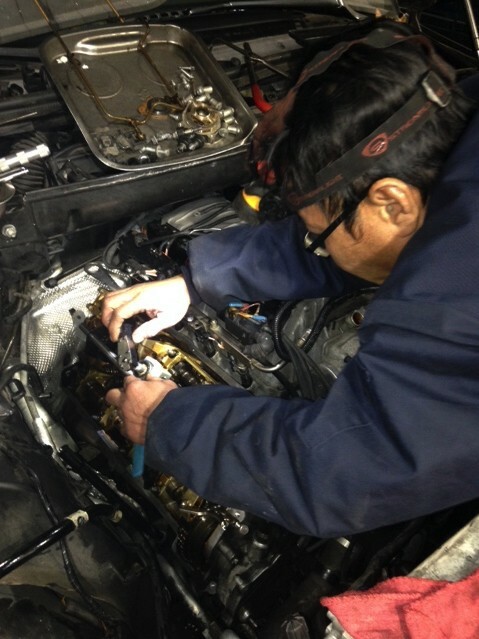 LT is the man you want to take your car to if you want to avoid excessive dealer repair costs! 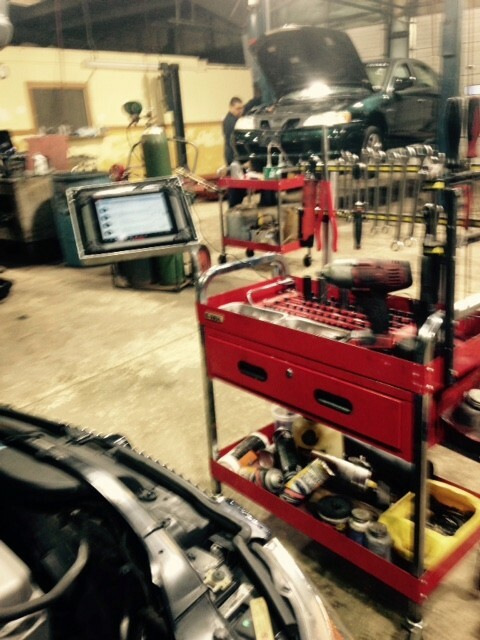 LT Foreign Car Repair is one of the best repair shops in Prince Williams County. I can say that because I have tried several local shops and by far his level of expertise is top notch. I have taken many of our cars (including wife and daughter's) to him with problems that most mechanics could not have been able to identify and fix. 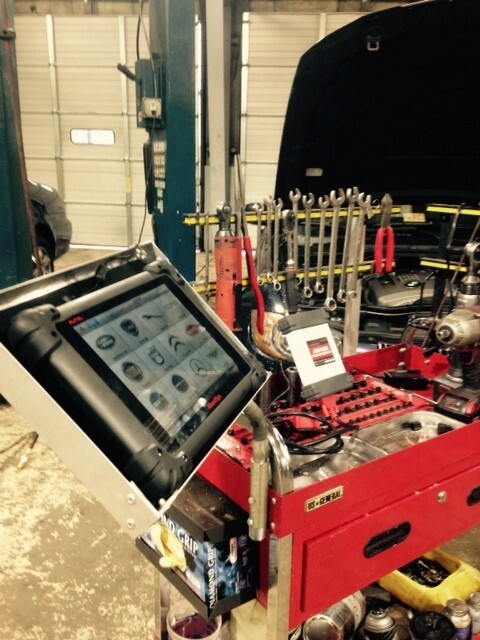 I had a foreign car that required a true technician, not a shade tree mechanic. 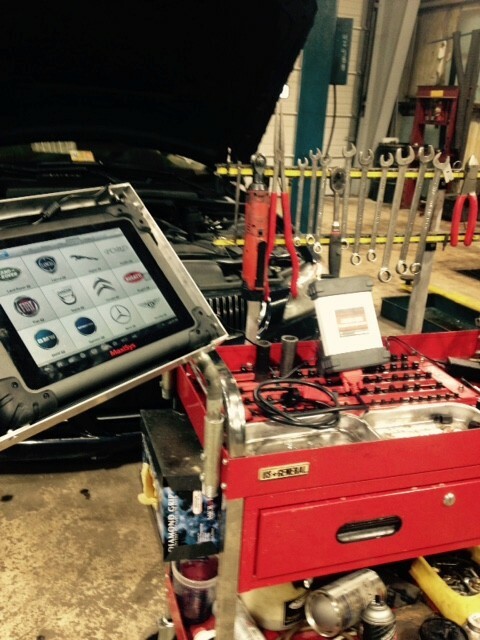 Not only does he know how to repair a car back to to OEM specs, he also has the latest and greatest diagnostic tools and software to analyze exactly what is going on with an automobile. I've noticed many of the reviews left have stated that he was rude and blunt. I have never encountered such problems, but the reason some reviewers may have said this would be because of his strong Vietnamese accent. If you can look past this, you will receive top-notch quality service and care. LT's service is top-of-the-line. He is professional,courteous and honest with better than fair prices. I own a BMV X3 and I shopped around until I found LT. His service and prices can't be beat. I find LT to be friendly, honest and expertly knowledgeable when it comes to repairs for my car. I find him trustworthy, he delivers what he promises. I highly recommend LT and his team. LT does great work at reduced cost especially when compared to the dealer. Recently he saved me about $350 replacing a water pump when compared to another place I got an estimate. Always very professional and top notch work! If you are looking for an honest opinion look no more, take your car to LT. I have been going to LT for over 3 years now and I'm always impressed with his service. He is very reasonable with his prices!! He is honest and does not try to overcharge you like many other repair shops do. 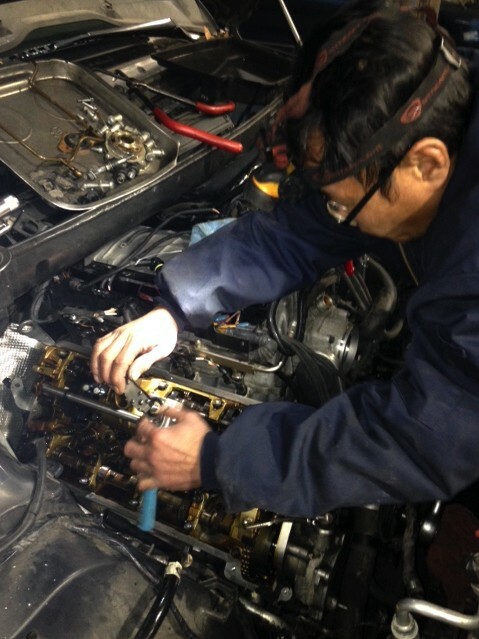 He is quick to determine what is the problem with the car and works hard to find a solution for it. I think he also provides a mobile service in case your car doesn't run. I highly recommend him for various foreign cars. He is first the person I call and trust when I have issues with my car. LT, Thank you so much for going "above and beyond" and getting my BMW back up and running again! It is such a blessing to know you and I am always completely confident that you will always diagnose my car's problem correctly and then repair the issue with great quality and efficiency. Thank you for the great work today with my oil leak! For all of those foreign car owners who are looking for the best mechanic in Northern VA, look no further than LT. I drive 50 minutes to have LT work on my car because he has won my confidence time and time again. Today LT took my engine apart to repair an oil leak and the total cost was unbelievably under $300 INCLUDING the new part! Wow!!! Last year my car was having a hard time starting and a local mechanic told me that I would need a brand new alternator and other work, in order to get my car running smoothly again. According to this other mechanic, the total cost would be approximately $1000 (we all know that this means OVER $1000). I was able to get my car to LT, he checked my car, replaced the battery, and my car was as good as new. My total cost? Less than 1 hour of labor! Finally an honest mechanic and a huge savings to my bank account! It is because of LT's honesty, great prices, and amazing quality of service, that I will only take my BMW to him. I recommend LT's auto service to everyone, and would be happy to be used as a reference. 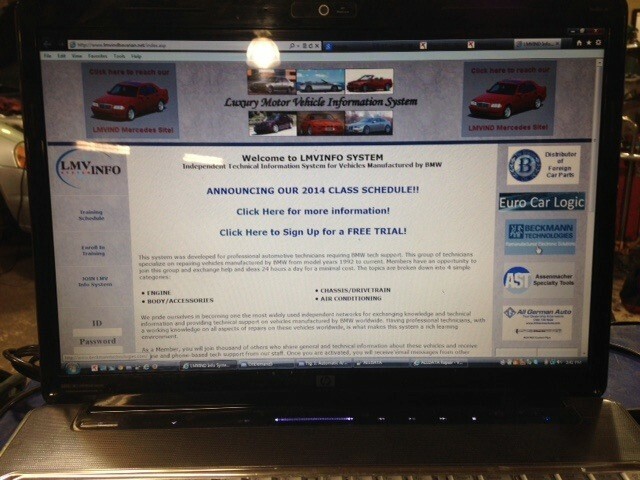 It is because of LT's exceptional service that 50 minutes is well worth the drive to have my car maintenanced by LT! Thank you LT!!!! Our 2003 Audi All Road would not start on Sunday (Mothers Day) and was towed to a local repair shop in Springfield. 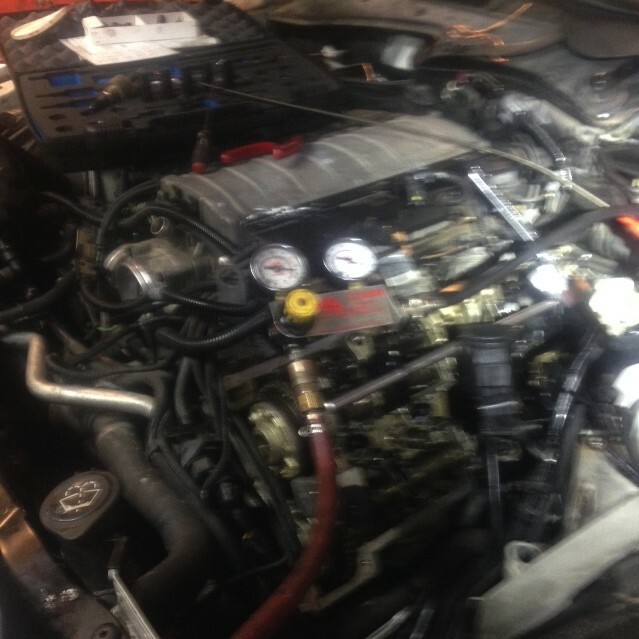 I was told that the timing belt was shot, no compression, and that I needed a new engine, $5000 - $6000, terrible news. The next morning I found LT Foreign Car Specialist on the web, made a phone call and wound up talking to LT himself. He asked several questions specific to the car not starting and basically he said he doesn't believe it too be a timing belt issue. I had it towed to his shop in Manasas where he diagnosed the problem to be a water sensor. 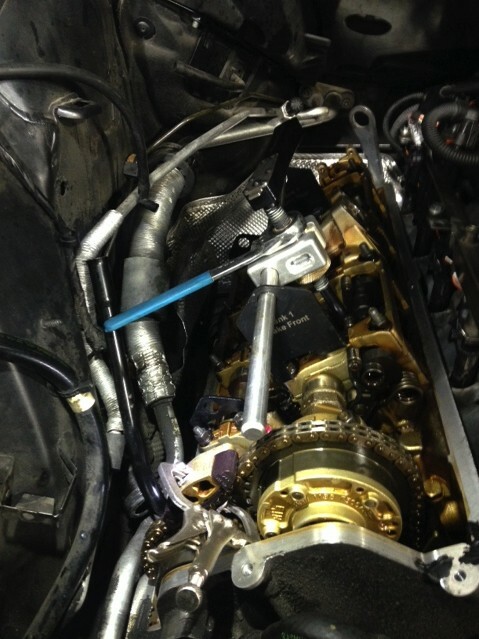 I needed a timing belt anyway, 125,000 miles on the car & never did it. What a difference in price and the Audi runs like its brand new. LT is a professional who knows what he is talking about, even more important he is honest. Mr. LT, I would like to thank you very much for repairing my 1998 Volvo S70 and my 2003 Chevy Surburban. Your workmanship is the best I have seen in a long time. I was also shocked when I got my bill. Your prices are a fraction of what the dealers charge. Thank you again and I will definitely refer your services to all of my friends. LT, Thank you so much for going "above and beyond" and getting my BMW back up and running again! It is such a blessing to know you and I am always completely confident that you will always diagnose my car's problem correctly and then repair the issue with great quality and efficiency. Thank you for the great work today with my oil leak! For all of those foreign car owners who are looking for the best mechanic in Northern VA, look no further than LT. I drive 50 minutes to have LT work on my car because he has won my confidence time and time again. Today LT took my engine apart to repair an oil leak and the total cost was unbelievably under $300 INCLUDING the new part! Wow!!! Last year my car was having a hard time starting and a local mechanic told me that I would need a brand new alternator and other work, in order to get my car running smoothly again. 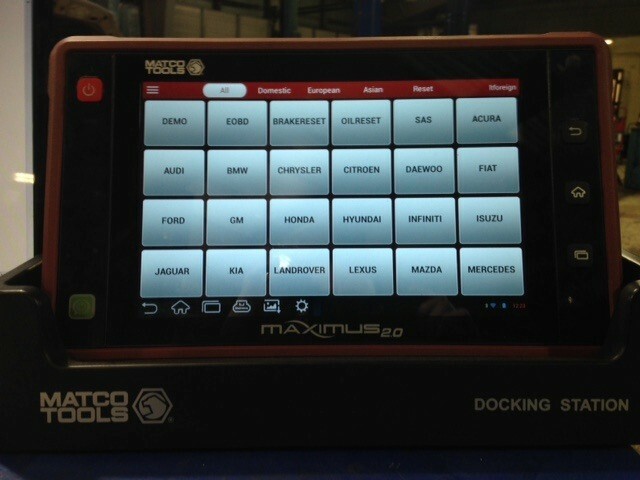 According to this other mechanic, the total cost would be approximately $1000 (we all know that this means OVER $1000). I was able to get my car to LT, he checked my car, replaced the battery, and my car was as good as new. My total cost? Less than 1 hour of labor! Finally an honest mechanic and a huge savings to my bank account! It is because of LT's honesty, great prices, and amazing quality of service, that I will only take my BMW to him. I recommend LT's auto service to everyone, and would be happy to be used as a reference. It is because of LT's exceptional service that 50 minutes is well worth the drive to have my car maintenance by LT! Thank you LT!!!! Before coming to LT Foreign Car Specialist, I used to have a lot of problems with my car. No one wanted to work on it, because they said that they are too difficult to fix. LT Foreign Car Specialist was recommend to me by another "competitor's garage". He said," If you want your car fix right the first time, good price, and an honest person," call LT Foreign Car Specialist. He wrote down the number on a piece of paper and handed it to me. I called LT Foreign Car Specialist took my car to him and I have been a customer every since it has been a least 3 years now and I will not go anywhere else. I happily give out LT Foreign Car Specialist card. They can fix any kind of problem-They don't give up!! 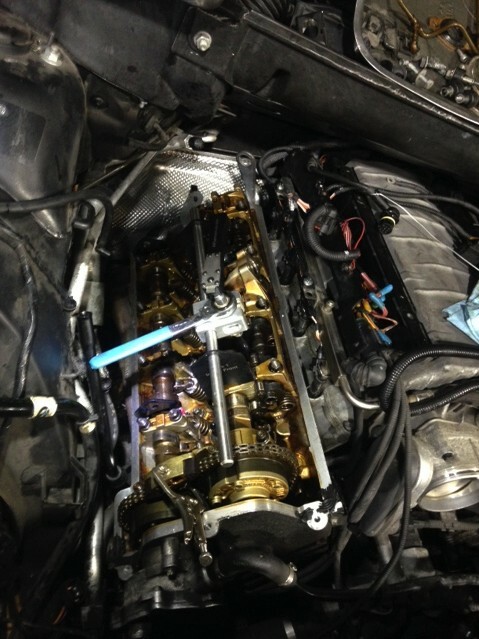 I have been a customer of LT Foreign Car Specialist for over 12 years and have always been completely satisfied with his outstanding automotive knowledge and workmanship. 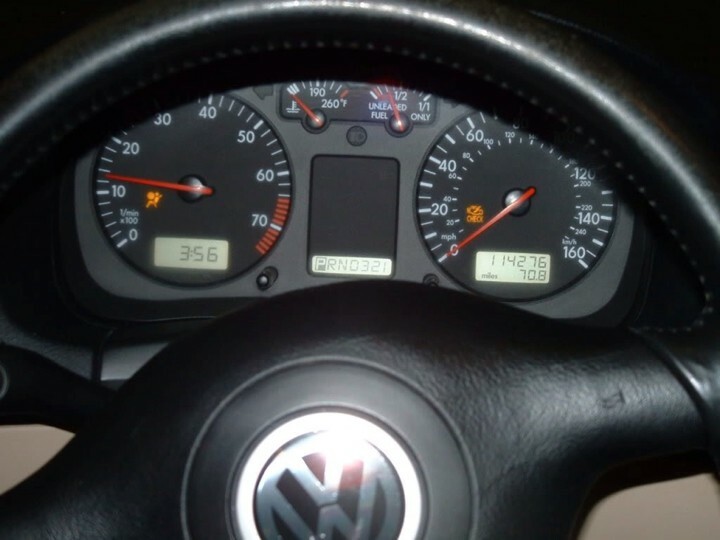 Recently, I took my son's 2001 VW GTI to LT Foreign Car Specialist with an air conditioner (a/c) problem. I had been told by another auto repair shop that I was going to need a new a/c compressor and it would cost over $600 plus labor. LT fixed the problem by replacing a fuse. His honesty and commitment to providing a quality service are impeccable. His prices are very reasonable and lower than his competitors. Over the years LT Foreign Car Specialist has serviced my 1981 Mercedes, 1985 Honda, 1987 Acura Integra, 1987 Mazda, 2001 Acura TL, and 2001 VW GTI. I have a new 2010 Honda Accord that, when the need arises, will visit LT in the future. I've been a customer of LT Foreign Car Specialist for a good few years now and every time I need a repair done to my car they have been able to diagnose the problem quickly without any fuss and get me motoring again within a day or so without a huge bill (always advising me of costs before going ahead with the job) and with a quality repair (not having to return to them to grumble about a job not completed properly)" LT Foreign Car Specialist has looked after my 2001 Maxima and 1998 Accord. Recently I had a inspection problem on my car with a "competitors" garage (not LT Foreign Car Specialist), it failed,, I was handed an enormous list of advisory work that "apparently" required doing also. Under advice from another of LT Foreign Car Specialist's happy customers, who highly recommended them for trustworthiness and honesty, I asked for a second opinion about the advisory note and was shocked to find the $500 worth of work advised was not actually required at all, and all I really needed to spend was $80. This just shows that there are trustworthy, honest mechanics/garages out their and I'm happy to say that LT Foreign Car Specialist is one of them!!!!!!!! I won't be taking my cars anywhere else in the future. I recently retired from working as a taxi driver, and with the amount of wear and tear put on the private hire vehicle I drove, whenever I had a problem, LT Foreign Car Specialist was just the garage to get my taxi earning a living for me again in quick time. I'm very happy to recommend LT Foreign Car Specialist' services to anyone. I've had my cars serviced with LT Foreign Car Specialist for over 10 years now. I find his honest and trustworthy approach to fixing my vehicles very refreshing and his customer service second to none. LT Foreign Car Specialist has looked after my 1997 VW Jetta. I find LT to be a very friendly guy and you can trust that the repair on your car has been completed professionally (What LT Foreign Car Specialist mechanics say they've repaired is 100% REPAIRED). LT Foreign Car Specialist are very honest with me with my car servicing requirements and only repair what needs repairing. The quality of workmanship and customer service was so good that I was quite happy to recommend my father to LT Foreign Car Specialist also. Dear LT, Thank you very much for servicing my Mercedes! Prior to coming to you, I went to two different shops and both quoted me in excess of $2,000 in repairs. Needless to say, I was at my wits end and was seriously contemplating getting rid of my car. I am very happy I found your ad on Craigslist! I was very impressed by the layout of your website and more importantly, your rave reviews. I am so glad that I can now be on that growing list of satisfied customers! Thank you for providing honest quality care and only doing the work that was necessary, as opposed to quoting me for work that I did not need. I appreciated your explanations and look forward to continuing to get my car serviced there, as well as referring others, too. Even though you are fifty minutes away by car and two hours by public transportation, it was well worth the trip! LT, I came across LT Foreign Car Specialist in 2007 when my 2000 BMW started giving me problems. After calling around to get estimates, I turned to Craigslist where I found LT Foreign Car Specialist. I took my vehicle over to their shop and when I received the call with the estimate, I was SOLD! I feel that great service and fair pricing is a must when fixing cars and LT definitely has plenty of both. There has even been times when LT Foreign Car Specialist rushed to repair my car in time for the holidays. As a customer I am more than satisfied and will continue to give them my business. Thank you for caring about your customers!!!!!! LT at LT's Foreign Car Specialist provides great service for great prices compared to the dealer. My wife and I have been taking our Mercedes to him for years and he has always done very quality work at excellent prices. If you want someone honest to fix or provide services to your car look no further than LT.
LT has done lots of maintenance to my 2000 BMW M5. He's done a great job and I've had no issues with his work. I'm also going to let him do some items to my truck. 2003 BMW 745i, LT fixed my alternator bracket gasket leak, leaky, valve covers, and spark plugs, I also had smoke coming from tailpipes when stopped at red light, no more smoke. LT, YOU ARE THE MAN WITH REASONABLE ESTIMATES/PRICES. Thanks! I seldom write testimonials for people but I really felt the need to tell people about LT. I have a 2006 Audi A8L and I was told by the Audi dealer that I needed a new compressor at a cost of $2700.00. 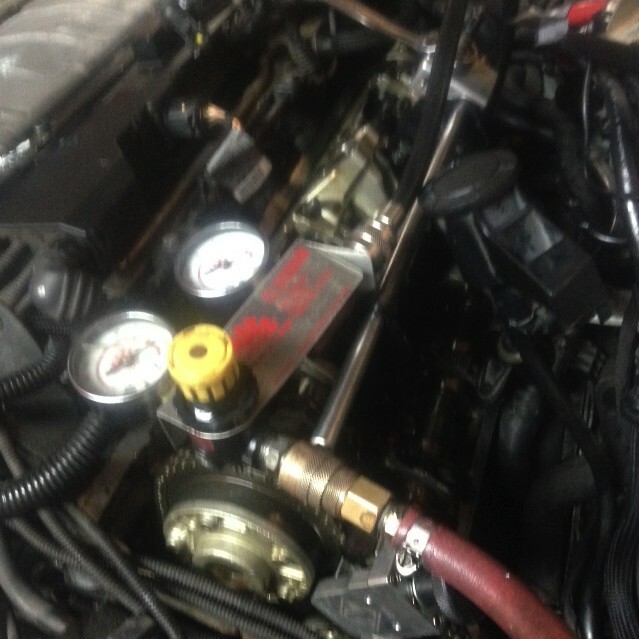 I called LT and asked him run a diagnostics on my car, when he did we found out the compressor was not bad. LT found out that just a fuse for the compressor was bad and he replaced it and did it all for $168.00. I want to stress something very important here LT had my car for 3 days and he easily could have said that it took him many hours to examine my car and charged me a much higher bill. I would have paid $1000.00 and not asked any questions but it just shows that LT is an honest man and you can believe he will get all my business in the future. I will also recommend him to all my family and friends. 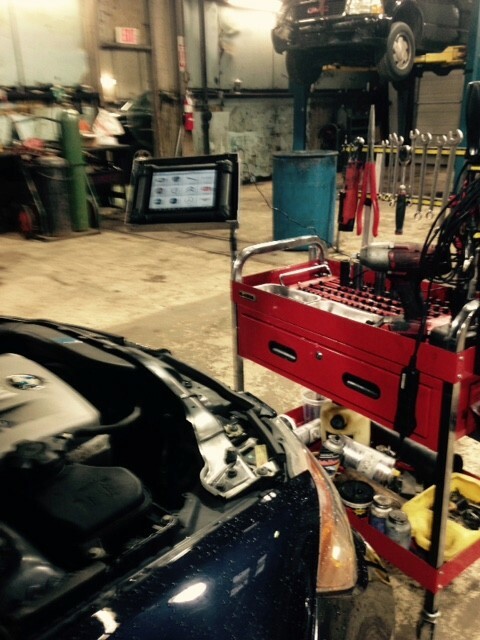 Honesty in the auto repair business is rare and LT is an honest man and that is saying a lot. I highly recommend LT to repair your vehicle. We had unknown issues with my 2007 X5 that would not start. 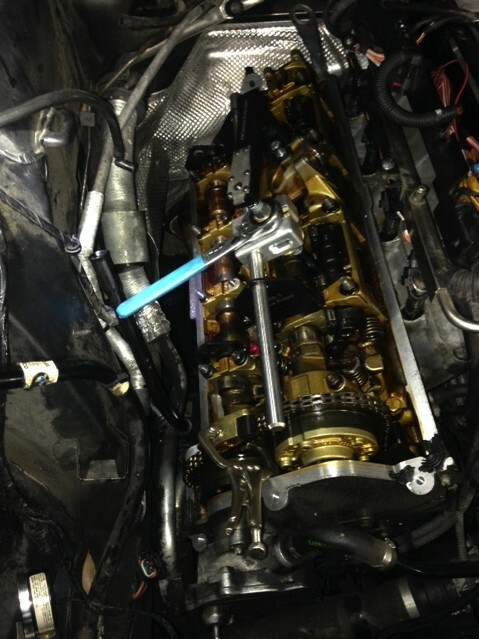 LT worked endlessly, took the car apart, ruled out every scenario and diagnosed the car. LT really worked and worked on getting my car working again. He took his time and my husband saw the car when lots of parts were removed and is completely amazed at the fact that someone could put the car with all of the tiny parts he saw back together again. 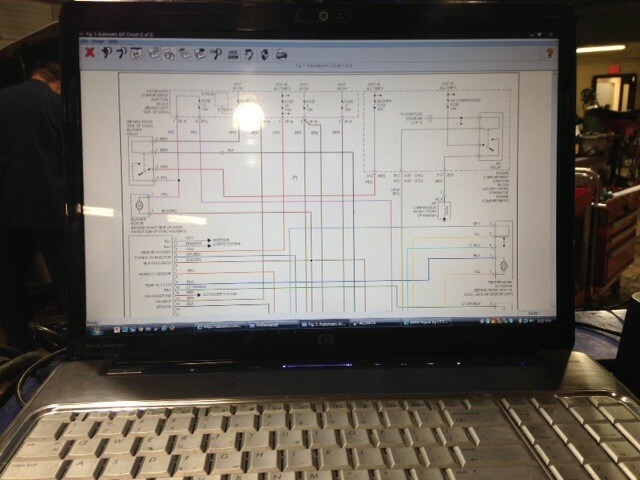 If I had gone to the BMW Dealership we would be completely broke with all of the time LT put into diagnosing our car. We highly recommend LT!! We are customers for life. 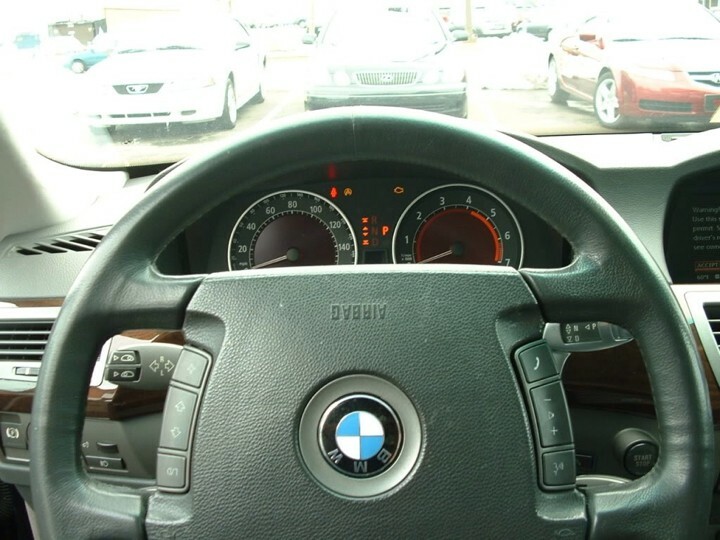 I have experienced the worst adventures in auto repair, especially with BMW of Alexandria. They were such ripoffs that I was ready to trade my vehicle. I was an absolute mess after my last dealings with the managers and tech support. They couldn't tell what was wrong but the wanted to charge me $4,000.00 for them that they created. Then I found this absolutely most reputable repair shop that I have ever had the pleasure of doing business with, LT Foreign Car Service. 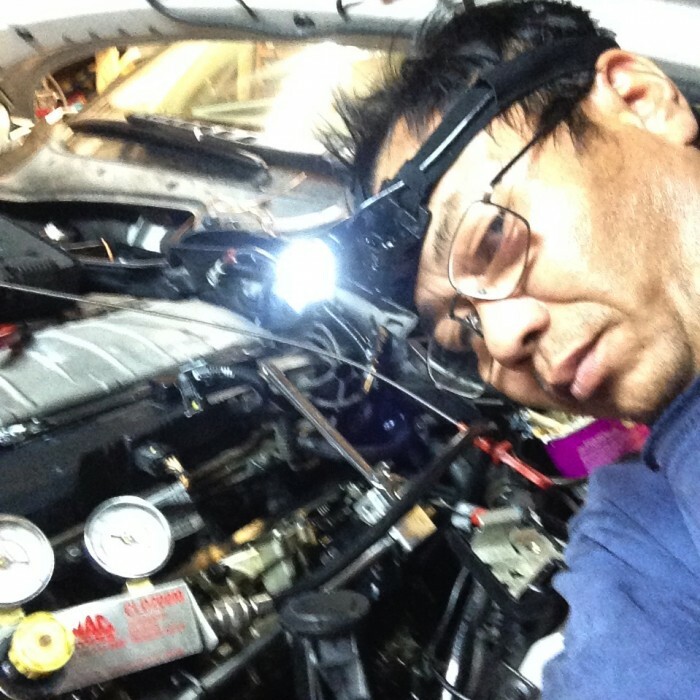 LT is a "great mechanic," experienced in repairing all types of vehicles, knowledgeable about outside sources to obtain the most difficult parts, and most importantly, he's affordable. 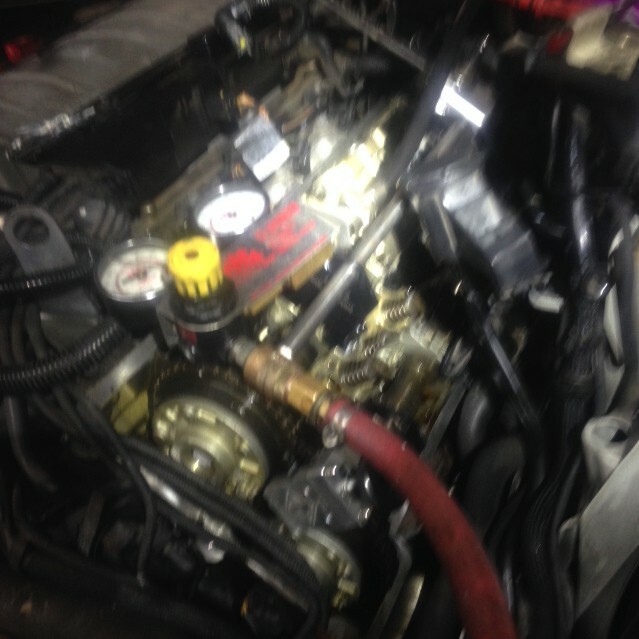 Thanks to his diligence in identifying the problem and locating the part, my vehicle was repaired and running smoothly again and much much less than $1k. I recommend LT Foreign Car Service to anyone who is in need of a great affordable mechanic in the DC area. First of all I live in North Carolina. LT Foreign Car Service is located in Woodbridge VA. I purchased a 2000 BMW 528i from a local mechanic in NC, one that he had worked on for one of his customers. I also have a 1994 BMW 319i that I needed some work done to. So long story short, I ended up purchasing the 2000 BMW 528i from him because he told me if I purchase the car he would fix it for $1200.00. When I purchase the car it had several light on in the dash (ABS light, Air Bag light, Service engine light, brake light and the check engine light). He (the mechanic in NC) was unable to fix the car. I spoke with my brother who lives in Woodbridge VA. He have always told me about LT who works on his cars. I drove from NC to Va. I knew that he might not be able to fix my BMW, but boy was I wrong. He fix my ABS, Transmission Control Modular, Air Bag Control Modular, Brake pads/new brake senor, Dash Cluster, which I didn't know was bad and to top it off he put new valve cover gaskets on because the car had a major oil leak. When I went back to Va to pickup my car. I ask LT how in the world was he able to fix the car so fast. 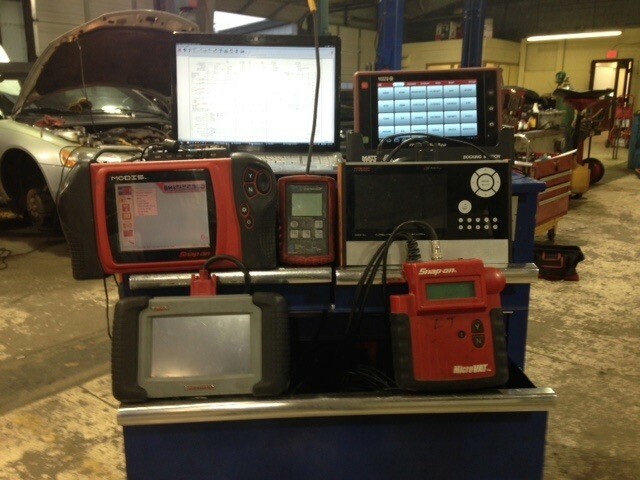 He showed me his computers, not one computer but he had several computer with the latest and greatest software to diagnose and trouble shoot any car/truck. He also told me that the mechanic in NC probably would not have been able to fix my car because without the proper diagnostic software most new cars works on a computer. 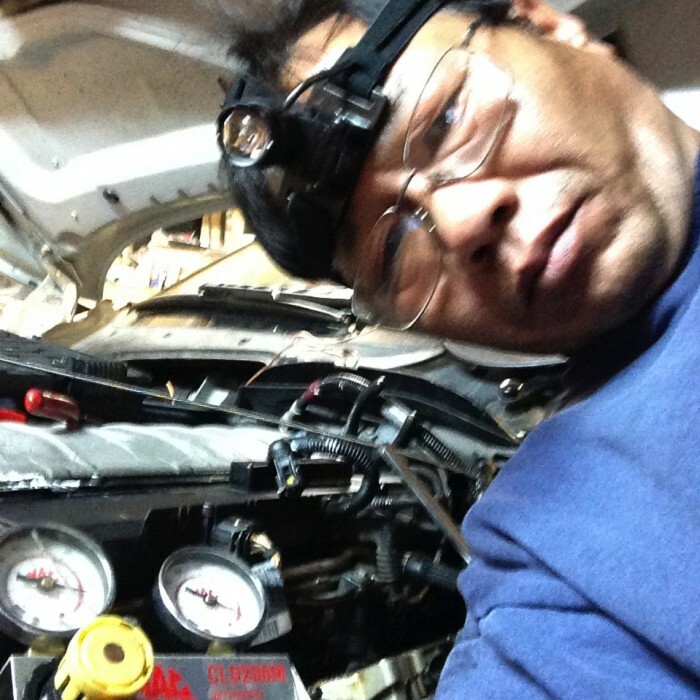 He is the best mechanic I have every seen and I will always take my vehicles to him. I'm a Volvo driver in a Bimmer world, here, but LT does fantastic work, very responsive, and at fair prices. He's had the opportunity to sell me lots of services, but stuck to the simplest, most cost-effective fixes to any problems I've had. That's how you build customer loyalty, and that's why I keep coming back to LT Foreign Car Service. You should, too. My BMW X5 would not start at all. LT diagnosed the problem without hassle as electrical and fixed it. I am now back on the road. I can't say enough about this shop. The prices are below dealer and other shops and the technician is professional and fair. 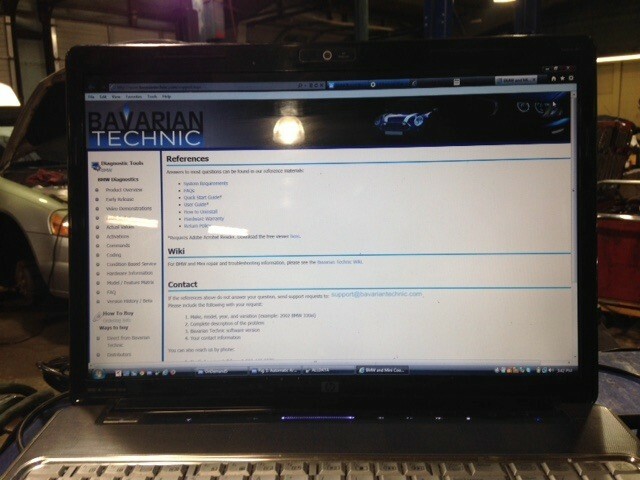 I will use LT Foreign Car Service from here on for my BMW repair needs. Great work, Smokie purrs like a kitten. The smoke is gone but I think she will still keep the name for the color and speed. Thanks soooooo much. My 2007 335i suddenly started flashing the "engine malfunction...reduced power" message and loss of power at full throttle. I took my car to LT Foreign Car Service and LT immediately pulled the codes and diagnosed the problem being "low boost pressure." 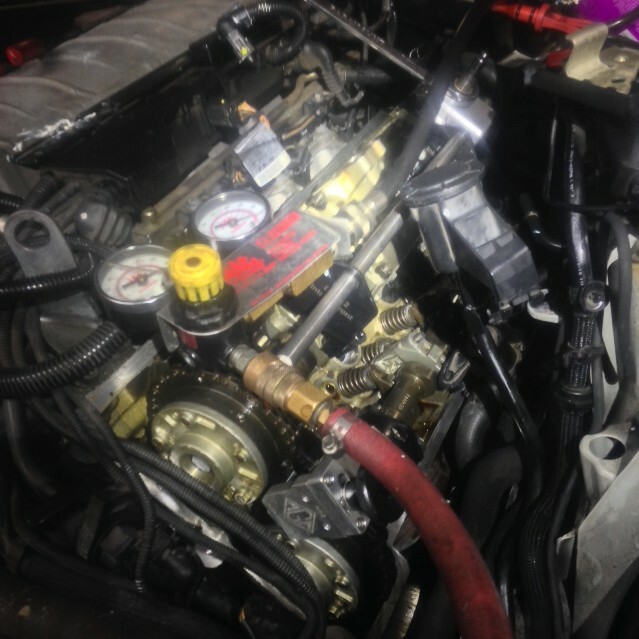 Being experience and knowledgeable about these cars, LT knew to perform a smoke test to check the vacuum systems for leaks before assuming it was actually faulty turbos. He was right. He found he leak and fixed the issue within an hour. He was prompt and honest. I will be taking my BMW back to him for any future service issues. I would definitely recommend LT Foreign Car Service to anyone. I had an experience where my wife's 4x4 light was on along with other lights. I asked around for someone in the D.C. area and located LT Foreign Car Service to do the work. This guy did a remarkable job which, saved me about 30% of what the dealership would have charged me. You can count on us as a returning customer if you would have us. Thanks! LT has been fixing my cars for years. 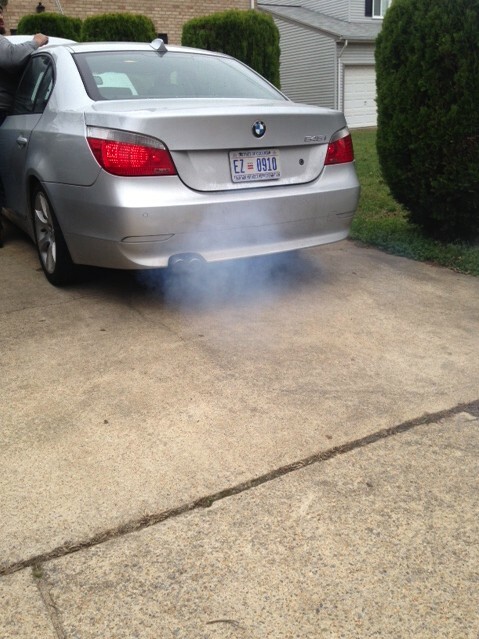 I recently had a fueling issue with my BMW 325 CI. It took him no time to diagnose and get me a quote. He's an honest guy and I know a lot of his customers. He's not just a mechanic, he's a scientist with his stethoscope around his neck at all times. Since I came to America 15 years ago I have had several mechanics turn out to be dishonest and I only use LT Foreign Car Service because he was recommended to me by a close friend. You won't regret using this guy's services.